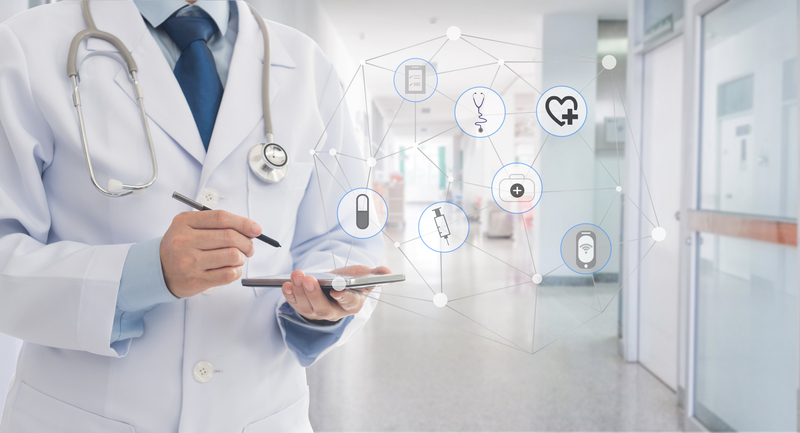 The success and efficiency of healthcare systems around the world depends on, among other things, data collection, data storage, and data usage. A proper data management system has several advantages - it improves the diagnostic process, enables delivery of evidence-based care to patients, personalises care for patients through predictive analytics, and obviates the need for repetitive experiments and investigations. Most importantly, perhaps, it informs the evolution of a responsive healthcare policy. Blockchain – an open source digital ledger system that stores data permanently – has been growing at a phenomenal rate since 2008. It implements a peer-to-peer distributed system allowing for the transparent and immutable storage of data in a group, or “block”. A new block is added with the verified consent of at least 51% of users, and sequential links of these blocks make the blockchain. This structure provides significant advantages in book-keeping, such as, immutability (reducing fraud), encryption, transparency, synchronization, and reliability. These advantages come to the fore in large scale implementations of Blockchain across industries. Walmart, in collaboration with JD.Com, IBM, and Tsinghua University digitized its retail food supply chain to track food from farm-to-table. This significantly improved food traceability and food safety outcomes, reducing the incidence of food-borne diseases by instituting greater accountability and implementing stricter quality enforcement norms. In this way, the Blockchain brings together multiple stakeholders and strengthens vertical integration across supply chains. Countries too, are seeing the value of Blockchain in improving the efficiency of administration and the quality of governance. Specifically, applications of Blockchain are being studied in the fields of land record management, welfare portability, agricultural extension services, healthcare delivery, voting processes, legal contracts, etc. For instance, the Swedish Government has recently institutionalized a multi-year test for migrating its land registry system to a blockchain implementation. This will improve transparency and ease of access for citizens to government services. From a healthcare services perspective, it is imperative for providers to adapt and adopt new technologies, which could strengthen the system. Innovation and new technologies are required for better prevention, integrated health delivery designs, and more personalised directed care. There is need for standardization and interoperability of data in the healthcare industry. Currently, the EHR systems across India use different information models and within that, various institutions use different sets of codes and vocabularies, thus making it hard to achieve interoperability. It is crucial for any national government to implement a system which keeps the costs low and encourages participation by all key stakeholders. Another main challenge which the Indian Healthcare system faces is the identification of patients across different EHR systems. Different combinations of local identifier and photo identification are used in different locations, making the entire process inefficient. Blockchain would help get rid of the ‘trusted intermediaries’ (notary) that play a part in the Electronic Health Records, in addition to protecting the privacy of the patients and reducing costs. It is a great method to connect the local, regional and national repositories to achieve interoperability. Permission could be granted to different players across the healthcare supply chain to access the records from blockchain, allowing patients to keep their privacy intact. There have been models wherein countries have already started implementing blockchain in the healthcare domain – Estonia has taken the lead globally in implementing the use of blockchain on a national level. The country has developed KSI (Keyless Signature Infrastructure), which is a blockchain technology that guarantees 100% data protection. The country’s e-Health is a platform that integrates data from different healthcare providers and creates a common accessible record online. On the flip side, however, the much-debated issue of ethics surfaces in the use of blockchain. Doctors in various specialities could gain access to patient information during a treatment irrespective of their role in the treatment. For example, a cardiologist could access the dental records, which might not be fully relevant to the patient’s situation, therefore, questioning the enquiry made by them. Gaps in data integrity could lead to non-standardised audit trail, thus potentially harming the patient sentiment. Blockchain might not work as the panacea and currently attracts some apprehension from the public and government due to its relatively nascent creation, however, healthcare has many aspects to it and blockchain might prove to be a step towards achieving a better and more efficient healthcare delivery system.